Have a happy Taco Tuesday with Oregon Wild and Free Geek at The Waypost! Join us for the first “Oregon Wild and Friends” mixer and benefit. 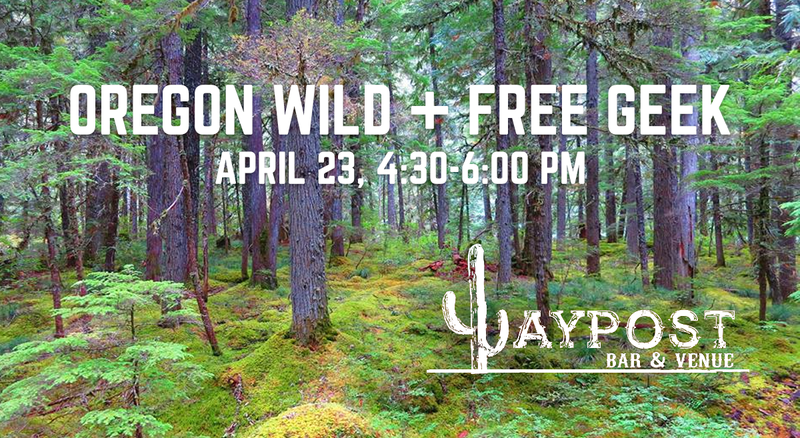 Every month, Oregon Wild will be teaming up with a different Portland non-profit for a happy hour at The Waypost. From 4:30-6:00, a portion of the proceeds will be split between the two organizations. In addition to serving great margaritas and other drinks, tacos at the Waypost are $2.50 all day on Tuesday! No program or presentations. This is your opportunity to hang out, meet new people who are passionate about making our community a better place, chat with the staff of these two great nonprofits, and enjoy a southwest street food inspired menu.